An IVF due date calculator is a tool used to determine the due date of a pregnant woman who has undergone in vitro fertilization. IVF (in vitro fertilization) is the procedure that joins the egg and the sperm in a less traditional way--outside of a woman's body. The egg cells are removed from her ovaries, fertilized and then implanted several days later to continue growth in the uterus. There is generally no hospitalization required but much preparation is needed to ready the hopeful mother for IVF, including intense fertility drug and hormone therapy. The procedure's ethics are a strong subject of debate, though often IVF is the only option for women with fallopian tube problems who desire to become pregnant. Many women use due date calculators to help them pinpoint their baby's arrival day. Mother who are eager to have and hold their child cherish the date and use it to plan for baby's coming, scheduling time off from work, preparing child care for other children in the family, and making all the necessary arrangements. It is important to remember, however, that these dates are mere figures and can be influenced by other factors. In general, pregnancy due dates are calculated by adding 40 weeks, or 280 days, to the first day of a woman's last menstrual period. Confusion occurs when women with irregular cycles are unable to determine the dates of the last menstrual cycle. However, even with exact numbers, the date of delivery is typically not precise. Statistics reveal that only five percent of woman deliver their babies on the projected due date. For planning purposes, a woman should expect her due date to fall within two weeks of the projected due date. Try this free calculator to determine your due date. Because pregnancy occurs differently in women who have undergone in vitro fertilization, a traditional due date calculator does not apply. IVF due date calculators work by calculating the numbers based on the egg retrieval date. Now that you have determined your baby's arrival date, using your IVF due date calculator, you can focus on the stages of fetal development. This is the exciting part of pregnancy, which for most women, eradicates the negative aspects of pregnancy such as swollen ankles and morning sickness. Learning the step-by step process of your baby's development will help you visualize his face and features. Many women form a special bond with their baby as they uncover the milestones of his growth, which may help them in choosing a name, purchasing clothing, and decorating the nursery. 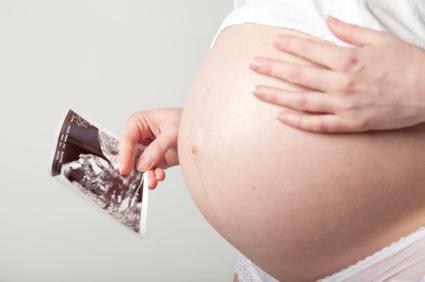 A multitude of literature, websites, and even television programs provide a well-rounded education for pregnant woman seeking information on fetal development. The first step, however, is figuring out your due date using your IVF due date calculator.